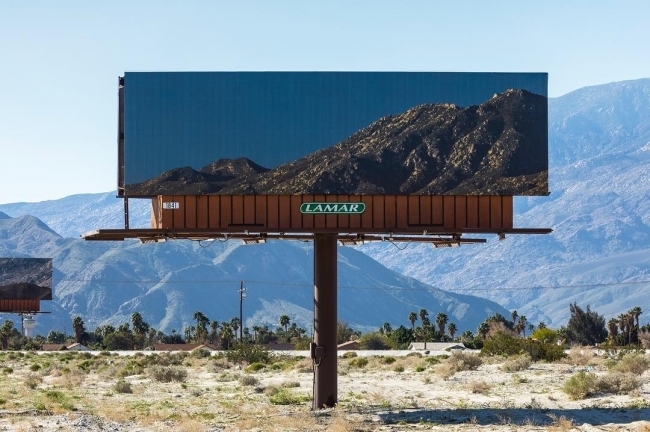 In her project titled Visible Distance, multimedia artist Jennifer Bolande replaced the ads on billboards that are blocking the view of the mountains along a stretch of highway in the Coachella Valley, with enlarged photos of the areas of the same mountains that had been previously hidden. 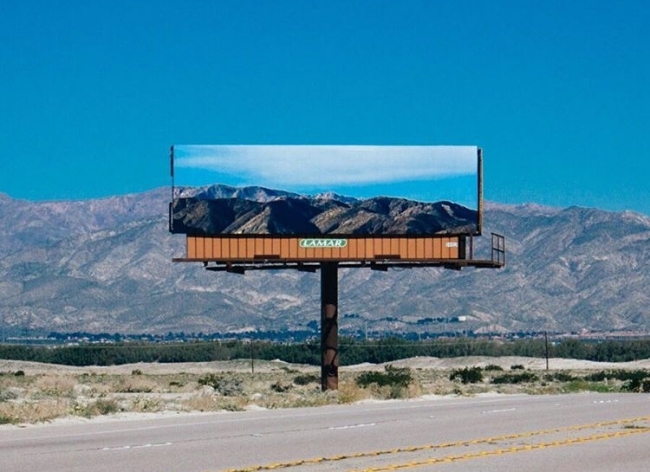 In a cinematic experience animated by driving along Gene Autry Trail, viewers will encounter a series of billboards featuring photographs of the very mountains towards which they are heading. Each photograph is unique to its position along this route and at a certain point as one approaches each billboard, perfect alignment with the horizon will occur thus reconnecting the space that the rectangle of the billboard has interrupted. In the language of billboard advertising this kind of reading is referred to as a Burma-Shave after the shaving cream company of the same name who used sequential placement to create messaging that could be read only from a moving vehicle. Within the desert empire of roadside signs, Bolande chooses to advertise the very thing so often overlooked. 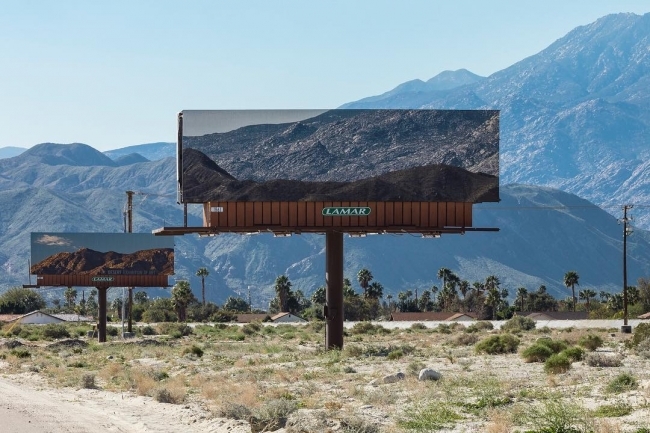 Looking up at the billboards our attention is drawn back to the landscape itself, pictured here as a stuttering kinesthetic of real and artificial horizons.